It seems somehow fitting that as the Civil Rights took off, so did the Space Race. Sun Ra in particular, was convinced that the salvation of the black race lay in the new lands of other planets, something that John Szwed of course touched on extensively in his biography of Herman Blount. Similarly, many of the black musicians who would pioneer electronic music would also return to future and space imagery as a way of advancing black society and equal rights, in particular Detroit techno artists like Juan Atkins, Underground Resistance and Drexciya whose Atlantean world of drowned slaves bears many similarities. It is thus a curious and somehow poetic addendum to the Lomax story that he should be involved with Carl Sagan in choosing the music that would go with the Voyager Golden Record on the mythical 1977 Voyager expedition. Szwed elaborates a little here. In the interview, Szwed mentions an album of Voyager remixes, the “Scrambles of earth remix” which is, apparently, a remix of the Voyager music by aliens. 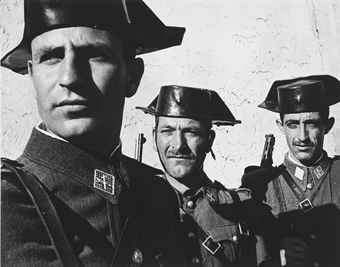 Lomax arrived in Spain in 1952, arriving by train from Paris, first changing at Port Bou on the border, as everyone still does, and then driving down to Barcelona prior heading to Mallorca and a state-sponsored folk festival. 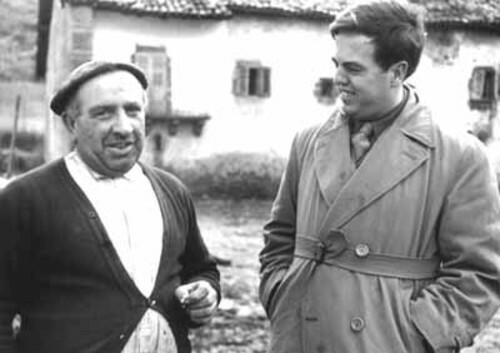 Although the festival was a disappointment, largely from being rehearsed and manipulated to uphold Franco’s cultural ideas and soured by the omnipresence of police, Lomax was undeterred and went on to record some of the most beautiful music of the entire archive and at the same time undergo many cultural epiphanies. It was not only the police who Lomax had to contend with, but the priests (curas) who wielded their own influence in different regions and feared the corrupting influence of an outsider who could give a voice to the people. As always, there was also a distinct lack of money. However, the results of Lomax’s work are extraordinary. 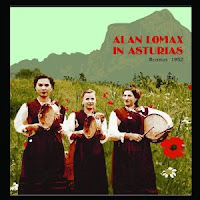 Lomax represents Spanish folk music as more than just the obvious Flamenco sound, recording songs accompanied only by bells, drumming, tambourine, bagpipes, as well as children’s songs, group singing and poetry. But what Lomax’s recordings give back to Flamenco is a sense of the Orient. Many of them sound far more Gypsy than modern Flamenco, meaning that they sound like they still had their living roots sunk into Indian music with obvious traces of Moorish influences on many songs. Listening now to this music, it somehow seems to transform the whole country into a more exotic panorama. Earlier in his career, Lomax had already expressed concerns about “the greying out” of culture by the centralised entertainment industries and part of the fears had already gone into his anthropological ideas of folk music. It is not surprising that Lomax should fear so much for the well spring of cultural creativity as he had been a man who had travelled well into the ill-defined realms of the periphery and drunk heartily from the well springs of cultural sources. Indeed, in the book “Mister Jelly Roll” written by Lomax and published in 1950 about another famous son of the divided south, Jelly Roll Morton. Lomax perhaps best summed up his ideas about art, culture and society and the inherent dangers of cultural machines. Lomaxes words are passionate and naked, coming from a deep place within himself as well as the cultural in which he swam. 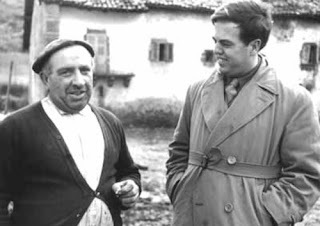 It is not surprising then, that one of Alan Lomax’s legacies has been to establish the idea of “Cultural Equity” to the point of founding a foundation, the Association for Cultural Equity, based on the principle of preserving and respecting cultural and linguistic differences. 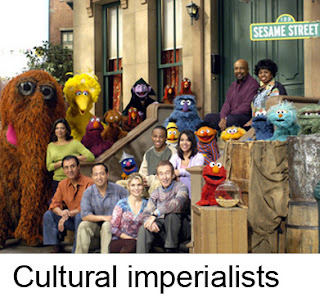 “Scientific study of cultures, notably of their languages and their musics, shows that all are equally expressive and equally communicative, even though they may symbolize technologies of different levels… With the disappearance of each of these systems, the human species not only loses a way of viewing, thinking, and feeling but also a way of adjusting to some zone on the planet which fits it and makes it liveable; not only that, but we throw away a system of interaction, of fantasy and symbolizing which, in the future, the human race may sorely need. The only way to halt this degradation of man's culture is to commit ourselves to the principles of political, social, and economic justice." Lomax’s ideas are not unique, but still their importance cannot be underestimated in the internet age, where access to the wealth of information is seemingly limited by the use of personal preferences and algorithms. The impact of globalisation and the continuing dominance of the cultural centre by big companies is still a threat despite the promises of easier and broader access to more peripheral cultural centres, a threat as dangerous as extinction in the Amazon or a coral sea. The legacy of Lomax stands tall and has much to teach and should serve to empower us to defend our differences.